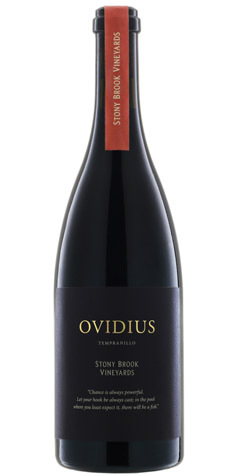 Ripe black cherries, with hints of cigar box on the nose are followed by concentrated, rich dark fruit on the palate. There are multiple layers of complexity, with round, full tannins balancing the natural acidity of the Tempranillo grape. The first vintage of Tempranillo from Stony Brook shows great promise. The grapes were harvested at 25 degrees Balling in the first week of February. The beautifully healthy fruit was hand-sorted and lightly crushed before a 7-daylong cold-soak to extract tannin and colour from the grapes. The juice was inoculated with a slow-fermenting yeast and pressed off at dryness. After settling, the wine was taken to barrel for wild malolactic fermentation and maturation. 30% new and 70% second-fill, 225 litre French oak barrels were used to mature this wine for 25 months before bottling.